CHISINAU (Moldova), April 17 (SeeNews) - The International Monetary Fund (IMF) has lowered Moldova's 2018 economic growth forecast to 3.5% from 3.7% predicted in October, according to the April edition of the global lender's World Economic Outlook (WEO) report released on Tuesday. 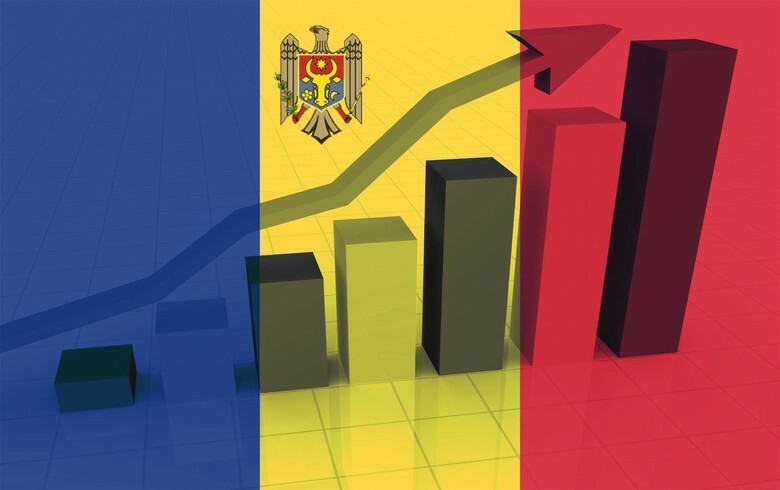 Moldova's 2019 economic growth is forecast at 3.8%, the IMF said in the report. In 2017, Moldova's economy grew by an estimated 4%, according to the report. However, according to the country's statistical office BNS, Moldova's economy expanded by 4.5% in real terms in 2017, mainly on the back of successful performance of the agriculture, wholesale and retail sectors. Moldova's inflation is seen accelerating to 5.1% in 2019 from 4.7% projected for this year, the IMF said. Moldova posted an annual consumer price inflation of 4.7% in January, lower than 5.4% in the previous month, according to the most recent data available from BNS. Moldova's central bank, BNM, decided on March 1 to maintain its key rate at 6.5%, striving to keep inflation close to the target level. BNM projects 3.7% inflation in 2018 and 4.7% in 2019. The IMF expects Moldova's current account deficit to decrease to 3.7% of GDP in 2018 from an estimated 4.7% of GDP in 2017. Moldova's unemployment is seen at 4.2% in 2018 and at 4.1% in 2019, the IMF said. Moldova has built its 2018 budget bill on a projection of 3.0% economic growth and a budget deficit equivalent to 2.8% of GDP. At the end of March, the IMF said it has reached a staff-level agreement with Moldova to make available $34.9 million (28.2 million euro) to the country under the current three-year funding arrangement. The staff-level agreement will be submitted to the IMF management and executive board which are expected to decide on the financing in May, following the authorities’ implementation of a number of prior actions. Moldova already received a total of $79.5 million in three tranches under the current three-year credit facility of $183.1 million approved in November 2016.